For those of you who don’t know what a “flirt pole” is, it is a stick with a string or rope at the end with a toy, feather, piece of cloth or leather attached to it. The user teases the dog with the “bait” and the frustration of “trying to get the toy” will tire the dog out. Flirt poles are very common for exercising cats, and are a very beneficial tool according to cat behaviorists. Flirt poles have been in use for a long time on puppies, cats and even with adult dogs in teaching, developing and assessing prey drives. Prey drives are the dog’s natural predatory instinct to chase, catch (and possibly kill) the prey. The primary focus of this article is for the use of flirt poles in shelters, so let me address the concerns and proper uses in this environment. Shelter dogs are often facing a larger crisis than a lack of exercise. Shelter dogs break down from lack of stimulation and socialization. Taking dogs out of a stressful environment (kennel) and instigating a high degree of prey drive serves little, if any good and may leave the dog more frustrated when he is returned to the kennel. Dogs whose temperament we don’t know may not have the ability to shut their drives off once excessively stimulated. Shelter dogs with high drives will not be more adoptable by the continuous stimulation of their prey drives. They can benefit from learning to control these drives. **See below. Prey drive left un-channeled creates more problems in dogs. Prey drives are responsible for dogs chasing squirrels, cats, birds, bicycles, joggers and a host of other behaviors that dog owners don’t want. Dogs with high prey drives are more likely to be turned into the shelter for behavioral issues. Dogs in drive are difficult to control and can redirect intentionally or unintentionally on the human. Using the flirt pole to get dogs to jump, spin and flip can cause injury to the dog. Stimulating prey drive builds strong drives in dogs that left unchecked only increase kennel stress. The goal of shelter behavior and enrichment programs is to make dogs more adoptable. Engagement training (training in which a dog is taught to focus to human and interact with the reward of food, toys or praise) is a tool that makes dogs more adoptable. There are times when flirt poles can be beneficial in a shelter environment. Using the flirt pole to teach a dog how to cap their drives is a great tool. Starting with obedience, tapping the drive, and then returning to obedience teaches a dog control, and is a great use of a flirt pole. Using a flirt pole to assess the prey drive of a dog gives us insight into a dog’s temperament. ** Before using the flirt pole as a training device we should assess how the dog will interact with it. When using a pole, the dog should at minimum be wearing a collar with a tab so the dog can be controlled on and off of the object. Ideally one person would hold the dog on a line with a harness and a second person would control the pole. If only one person is available the line attached to the harness can be tied off to a pole. Flirt poles can be used successfully to initiate drives in somewhat shut down dogs. Flirt poles can be used to develop play drives in shy dogs. As you can see there are many benefits to using this tool. However the safety of humans and dogs should be the primary focus of all interaction. I’m attaching a link to a video of a flirt pole that I think is properly used. 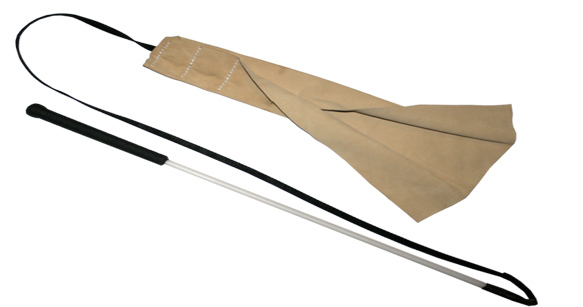 The trainer uses obedience as the primary tool, the flirt pole is used as the reward and the distraction. I’ve also posted this as an article in our Dog Training Articles section. I don’t actually unntrseadd how how this is much different between the San Diego Tribune printing this or some internet blog. Content like this needs to be pushed out more frequently. I would hope that others in America would want to take a stance like this. Personally I think that flirt poles are fantastic training tools and can be very beneficial, however some have said that these tools bring out aggressive behaviour. I’ve had some experience with shelter dogs, most have been balanced and non-aggressive, so I would not have thought using flirt poles in this environment is a bad thing. At least it means the dog is getting a good amount of exercise! they can be used as a valuable tool, I agree! the issue is that many people use them to bring drives up in dogs that can later not control them. a valuable tool is used to help make a dog adoptable and fit into a family. Used correctly, they are good!